Lake Eola is an 80-foot sink hole. 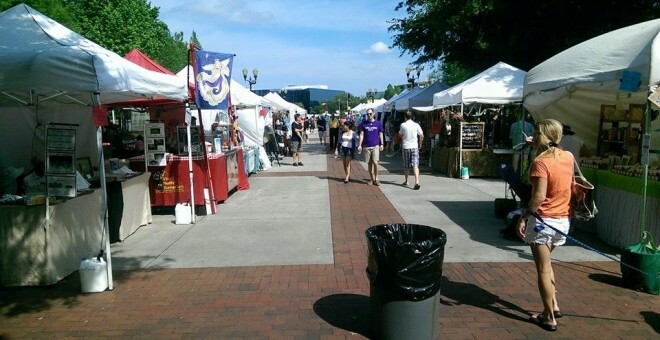 While at the park, enjoy a concert or play at the amphitheater, view the Orlando skyline or, on Sundays, visit the farmers market. 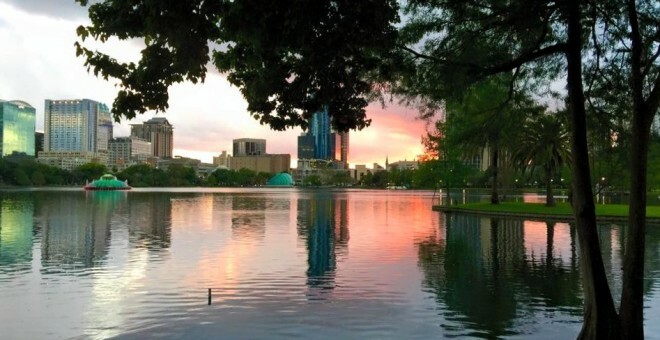 Lake Eola Park is located in the heart of Downtown Orlando. The sidewalk that circles the lake is .9 miles in length, making it easy for visitors to keep track of their walking or running distances. 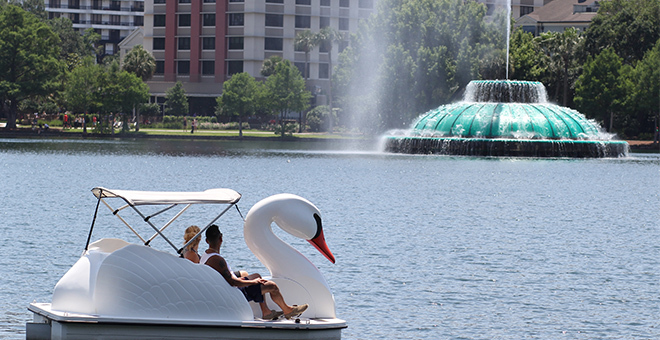 Other activities available to park visitors include renting swan-shaped paddle boats, feeding the live swans and other birds inhabiting the park, seeing a concert or a play in the Walt Disney Amphitheater, grabbing a bite to eat at Relax Grill on Lake Eola or relaxing amid beautiful flower beds and a spectacular view of Orlando’s skyline. A ride on a paddle boat is a great way to explore Lake Eola. Lake Eola Park has swan-shaped paddle boats available for rent for $15.00 per half hour. Each boat holds 5 people (children of all ages are welcome). Hours of operation are 10 a.m. – 7 p.m. Sunday through Tuesday; and 10 a.m. – 10p .m. Wednesday through Saturday (weather permitting). Rentals are accepted up to 30 minutes prior to closing time. Look for the boat rental dock by the Relax Grill. No reservations needed!